USB 1.1 is a Universal Serial Bus (USB) standard, released in August 1998. The USB 1.1 standard has been all but replaced by USB 2.0, and soon by USB 3.0. USB 1.1 is sometimes called Full Speed USB. There are actually two different "speeds" at which a USB 1.1 device can run at - either Low-Bandwidth at 1.5 Mbps or Full Bandwidth at 12 Mbps. This is considerably slower than USB 2.0's 480 Mbps and USB 3.0's 5,120 Mbps maximum transfer rates. USB 1.0 was released in January 1996 but issues in that release prevented widespread support for USB. These problems were corrected in USB 1.1 and are the standard that most pre-USB-2.0 devices support. Plug is the name given to a USB 1.1 male connector and receptacle is what the female connector is called. 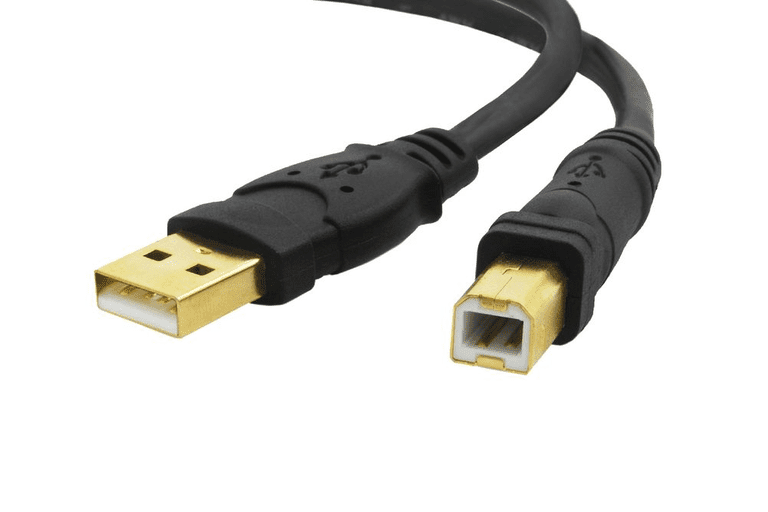 USB Type A: These plugs and receptacles are officially referred to as Series A connectors and are the commonly seen, perfectly rectangular USB connectors. USB 1.1 Type A connectors are physically compatible with both USB 2.0 and USB 3.0 Type B connectors. USB Type B: These plugs and receptacles are officially referred to as Series B connectors and are square except for a rounding at the top. USB 1.1 Type B plugs are physically compatible with USB 2.0 and USB 3.0 Type B receptacles but USB 3.0 Type B plugs are not backward compatible with USB 1.1 Type B receptacles. Depending on choices made by the manufacturer, a particular USB 3.0 device may or may not work properly on a computer or other host that was designed for USB 1.1, even though the plugs and receptacles physically connect to each other. In other words, USB 3.0 devices are allowed to be backward compatible with USB 1.1 but are not required to be so. Aside from the incompatible issues mentioned above, USB 1.1 devices and cables are, for the most part, physically compatible with USB 2.0 and USB 3.0 hardware, both Type A and Type B. However, no matter what newer standard some part of the USB-connected system supports, you'll never reach a data rate faster than 12 Mbps if you're using even one USB 1.1 part. See my USB Physical Compatibility Chart for a one-page reference for what-fits-with-what.